Comment: This is a new build home that will be ready in mid-August. 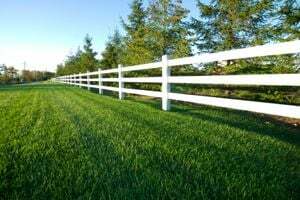 We are in the initial stages of finding a company to install a fence once we have occupancy. Comment: Would like an estimate for a split rail with 3 tiers. Comment: Fence installation, per 4 foot requirement of homeowner's association guidelines. We'd like a sturdy, attractive wood and wire fence. Hebron Fence Contractors are rated 4.79 out of 5 based on 136 reviews of 11 pros. Not Looking for Fences Contractors in Hebron, KY?